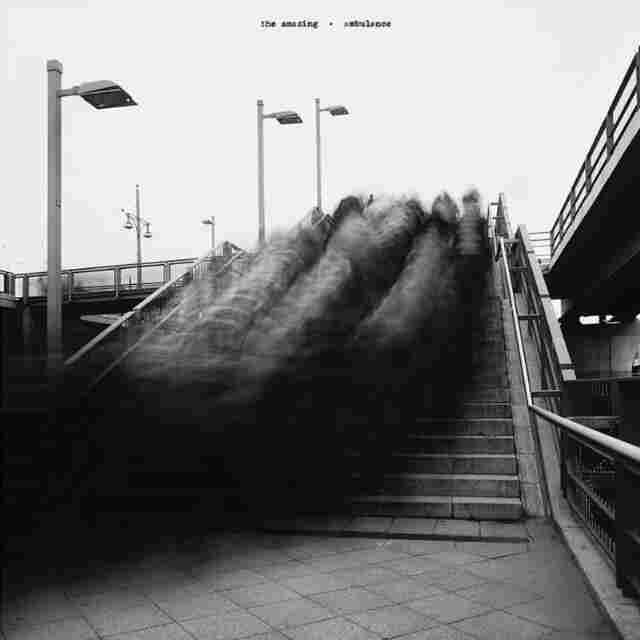 Review: The Amazing, 'Ambulance' Playing with an unhurried improvisational spirit, the Swedish band unspools melodies that don't grab you so much as slowly burrow under your skin. On its fourth album, Ambulance, The Amazing has a way of unspooling melodies that don't grab you so much as slowly burrow under your skin. Playing with an unhurried improvisational spirit, the Swedish band lets ideas amble along and develop naturally; it takes time to explore the nooks of its songs in search of deeper resolution. That lovely, resonant quality conjures a meditative mindset suitable for solitary walks or the melancholic stillness of an early morning. Yet all the haze shrouds everything in mystery, and it appears that Christoffer Gunrup wants it that way. As The Amazing's enigmatic singer and songwriter (as well as one of its three guitarists), Gunrup submerges his muted croon just below the surface of the mix, singing so that his phrasing is practically imperceptible and his themes are equally tricky to parse. Gunrup makes a point to refrain from discussing his songs much or making lyrics available in liner notes online — the quirk of a guarded artist who insists the art speak for itself. Like its previous works, and especially 2015's Picture You, Ambulance uses mood to tell its stories. Recording live with only a few takes to rehearse the new material, each member — Gunrup, guitarists Reine Fiske (best known for his work with Dungen) and Fredrik Swahn, bassist Alexis Benson and drummer Moussa Fadera — is given space to freely embellish the songs while they're still fresh. The result emphasizes sinuous melodies, lavish textures and spidery arrangements that forgo verse-chorus pop-song structures. Likewise, The Amazing deploys familiar genre touchstones (lushly orchestrated pop, British folk, pastoral psychedelia, cosmic mid-tempo rockers) as atmosphere-altering shorthand to transport listeners into its contemplative world.